You can use granola to make cereal bars or overnight oats and it can be used to finish whatever you've got in your pantry. Those last few hazelnuts hiding at the back, those oats that are obstructing the space of other goodness, seeds that simply taste boring on their own – whatever you want! Plus – our granola recipe uses up the pulp from our Apple Juice recipe and the nut meal from our Almond Milk. If you have these two to hand, pull them out of the freezer the night before you want to make granola and if they were chilling in the fridge, bring them to room temperature before you start the recipe. Haven't made these recipes before or don't want to? Fear not! We've made some notes about possible adjustments below. It needs to be oven dried on a low heat in the oven for a little while. This is because all the water from when it was used to make it into milk is probably still lurking in it – which was fine when it was in the fridge or freezer – but will make the granola soggy. Spread your nut meal as thin as you can onto a tray, baking sheet or cast iron pan – whatever you have that is large and flat. Pop it in the oven for 30 minutes on gas mark 4 and check for moisture at the end of this time. There shouldn't be any visible water, but it also should be beginning to brown, as this will come later with all the other ingredients. Extend the cooking time if necessary. 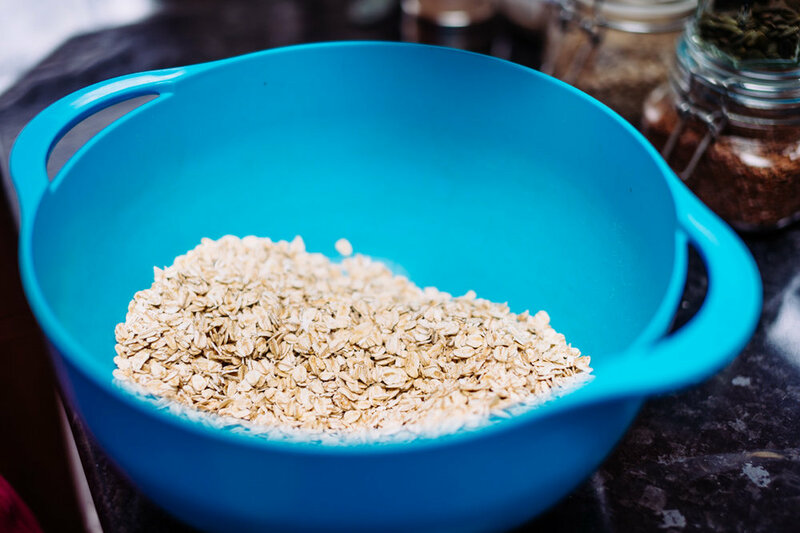 Combine the oats, seeds, almond meal and mixed nuts, if using, in a large bowl. Grab the smaller bowl. Mix the apple pulp with the cinnamon, 1tbsp maple syrup and salt. Once combined, zap it in the microwave for 2 minutes to combine completely. Mix the spiced apple pulp into the granola. Make sure everything is covered by the applesauce. Drizzle over the final tbsp of maple syrup. Lay the granola out on your baking sheets, pat as flat as you can. Place into a gas mark 3/170°C/300ºF oven. Check half-way through and move the granola around to make sure it is evenly browned. Extend cooking time as necessary. Allow to cool slightly and mix in the dried fruits. 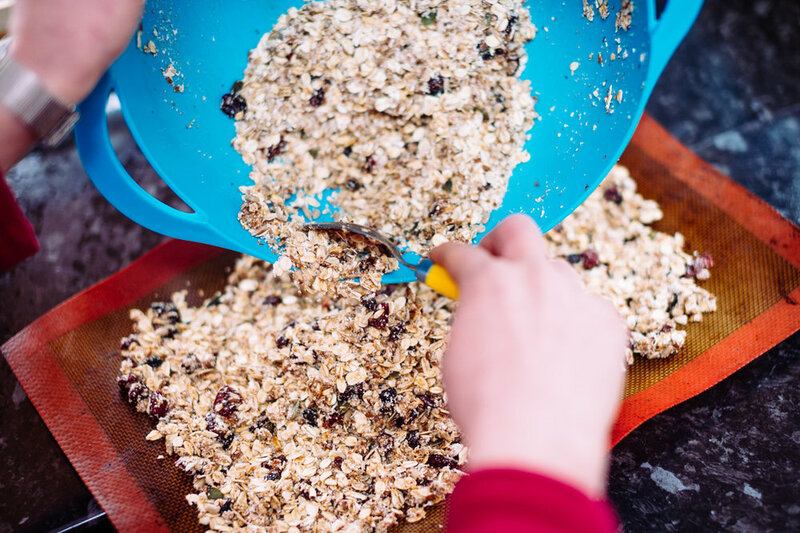 Pour into a large jar, and marvel at how great it feels to have baked your own granola!